Globe-trotting pet-lovers with a passion for all animals & meeting new people. 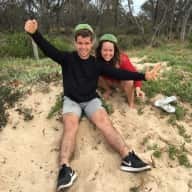 We are a vegan, non-smoking, adventure & animal-loving couple, currently based in Sydney, but wanting to eventually explore every corner of the globe. Our dream is to travel the world together before buying our own home & starting a family. We wanted to do everything we could to make it happen, so we decided to combine our love of animals, people & travel, so we could save some money & help out some fellow animal-lovers along the way! With experience puppy-raising for Guide Dogs Australia, working with horses at Vision Valley Horse Centre & both having looked after & fallen in love with an array of dogs, cats, bunnies, birds & fish of our own growing up, this next chapter of our lives seemed only natural. Having been asked to housesit for family members & friends of friends as individuals before, we can't wait to pursue this passion of ours together as a couple. We had a wonderful time living in our van together last year & then leasing our own place on the Central Coast. However, once our lease came to an end we decided we wanted to do everything we could to arrange a living situation for ourselves where we could live simply & frugally, so we could save for our future travels & eventually our dream family home. The fact that we get to shower your pets with love in the process is a huge bonus! - Grew up puppy-raising for Guide Dogs Australia, looking after countless beautiful labradors & golden retrievers, young & old - either soon to be starting their guide dog careers or having recently retired. - Worked for Vision Valley Horse Centre, feeding, grooming & taking care of 10+ horses. Also took a number of lessons at Malabar Riding School & Sydney Equestrian Centre. - Still gets to visit her furry best friend Buster, a Pomeranian cross Shih Tzu who lives with Larissa's parents. - Has always taken every possible opportunity to look after friends' pets, including bunnies, Patch & Snowflake, dogs Jonny, Scruff, Max & Celia and cats Gucci & Chanel. - Grew up with his first true love - a sassy, intelligent, QUEEN Jack Russell named Molly who is now 17 years young & living with Guy's Mum. 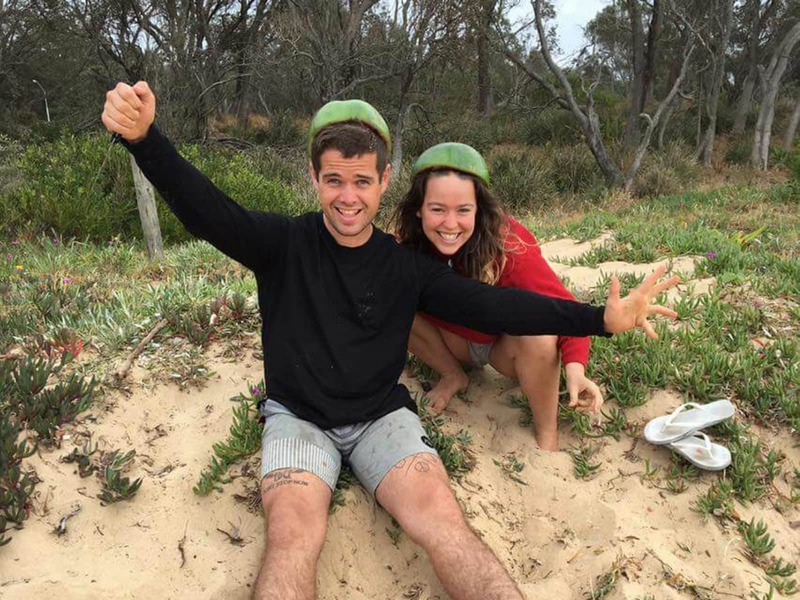 - Has lived all over the world - travelling to the USA, the UK (including one two-week house sit in London), India, Columbia, Mexico, the Netherlands, France, Malaysia, Japan, Fiji, Indonesia Australia & New Zealand. - Also grew up with other furry & scaly friends, including cats Katie, Rocky, Prince & Elvis, dogs Molly, Zac & Stella and last but not least many lovable fishies. - Has a diverse occupational background & a wide range of interests, having written multiple novels, hosted his own art exhibition to raise money for cancer research, and worked in hospitality, personal training, customer service, sales & gas meter reading. Thank you for taking the time to read our profile! Please don't hesitate to contact us if you require any more information.